The familiar statement, "A picture is worth a thousand words," describes how pictures can save someone from verbally communicating an important message. 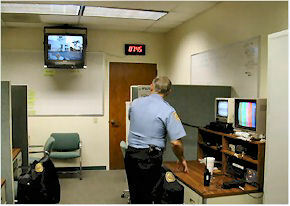 Fast-scan amateur television (ATV) and slow-scan television (SSTV) have proven themselves in Orange County by providing multipoint-distribution of "live" and "static" picture documentation of important public-safety drills and emergency events such as floods and fires that can be transmitted to an EOC or command post. 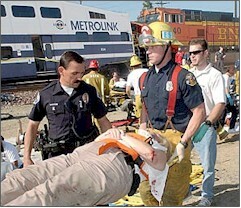 ATV and SSTV support public safety by providing a window into an event, thereby providing a decision-making tool based upon pictures viewed. Fast scan is real-time television that uses UHF or higher amateur radio frequencies. It’s similar to home TV, complete with color and sound. Slow-scan television (SSTV) is another popular mode used primarily to send narrowband, high-resolution, color, still photos taken from live events or recorded video. 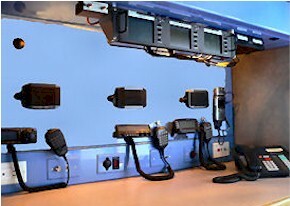 ATV and SSTV stations may be operated from radio amateurs' homes, cars and trucks, boats, airplanes and helicopters, or backpacks carried by the communicators. Some County of Orange RACES personnel have amateur television equipment that's either fast-scan or slow-scan or both. A typical fast-scan ATV system consists of a low-light-level portable color television camera (with character generator for call sign and GPS data), a 10-watt PEP or more UHF ATV transmitter, a crystal-controlled UHF receiving downconverter, a TV monitor, a VCR (video cassette recorder), and UHF antennas. This equipment is capable of portable operation, using a 12-Vdc power source or rechargeable batteries. A slow-scan sysytem may consist of a Kenwood VC-H1 Visual Communicator, a VHF/UHF transceiver, and batteries to power the equipment. Slow-scan software is also used on PCs to receive and send SSTV pictures, using a VHF/UHF transceiver. SSTV images are narrowband and may also be sent via HF radio. The pictures below illustrate how fast and slow scan can be used to bring an event window into your EOC or command post. Fast-scan image sent from Brea Drill. 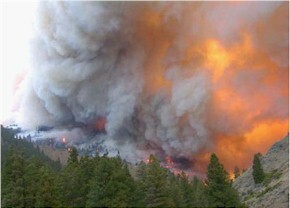 Slow-scan images sent from Placentia train crash (left) and from wildfire (right). ATV receiving location at Loma Ridge EOC RACES Room (left) and at operating position 1 in OCRACES van (right). These positions are scheduled for updating.